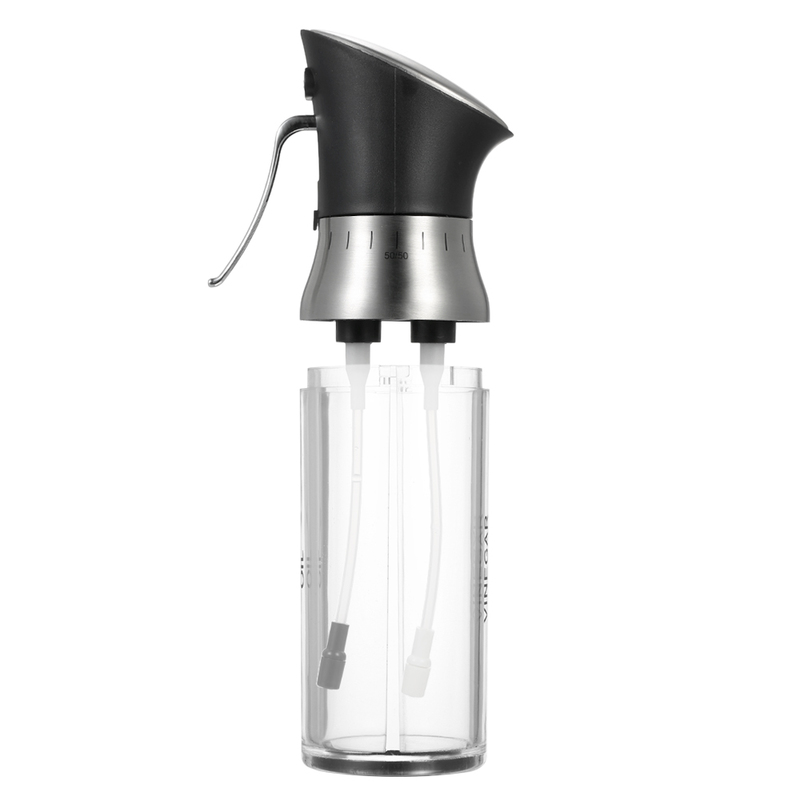 The cruet is specially designed for storing oil and vinegar at the same bottle, the two separate nozzles and the adjustable scale allows you to spray oil and vinegar separately or at the same time. 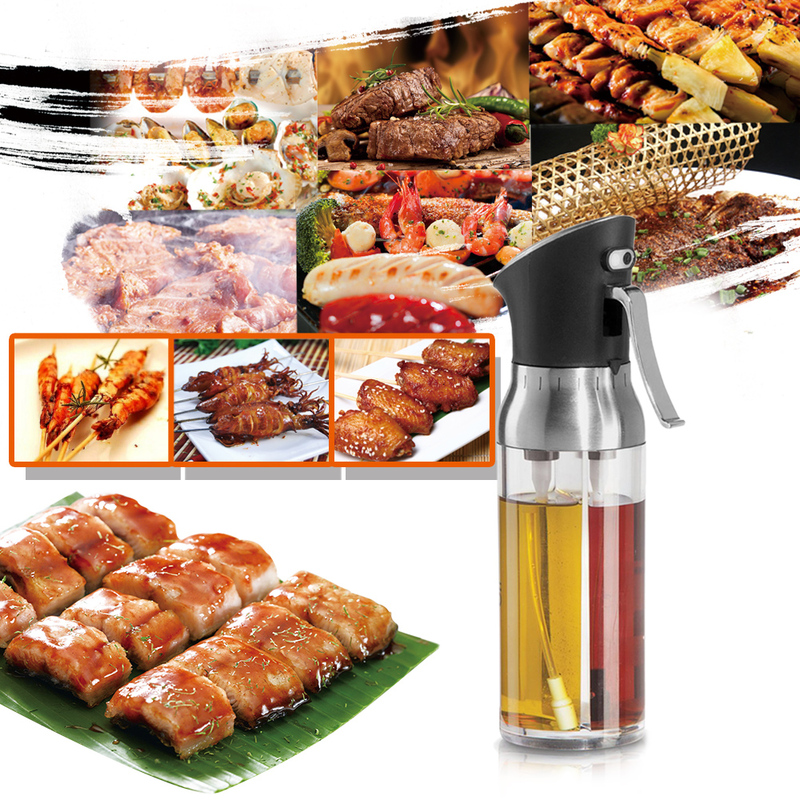 Really a very useful seasoning tool and quite versatile for outdoor cooking, picnic, camping, etc. 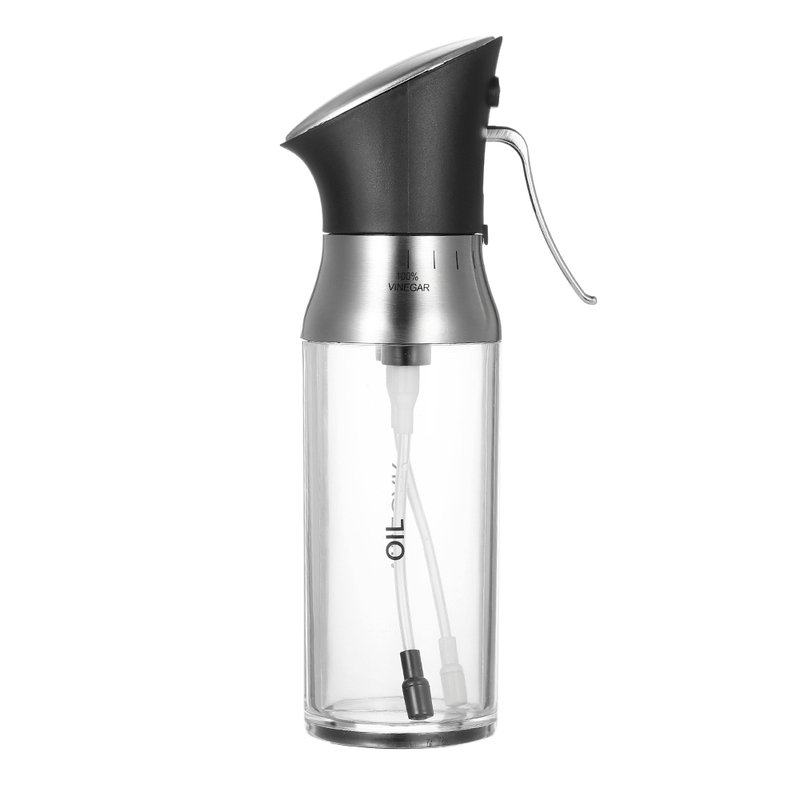 Oil sprayer and Vinegar sprayer 2-in-1. 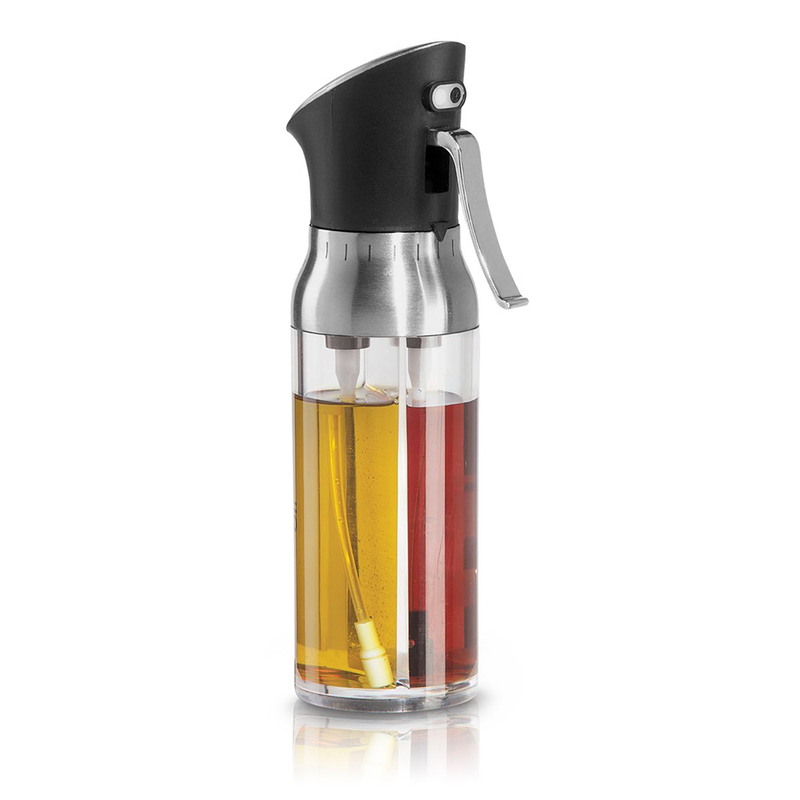 Adjustable scale for spraying oil and vinegar separately or at the same time. Made of good quality material, rust-proof and durable. 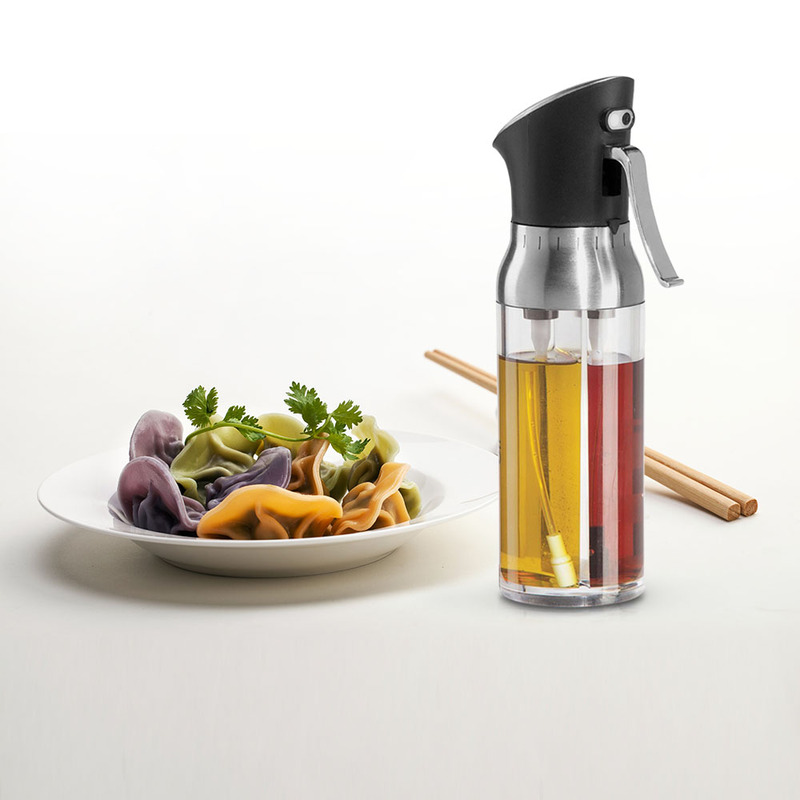 Versatile bottle for storing oil, soy sauce, vinegar, cooking wine, honey, etc. 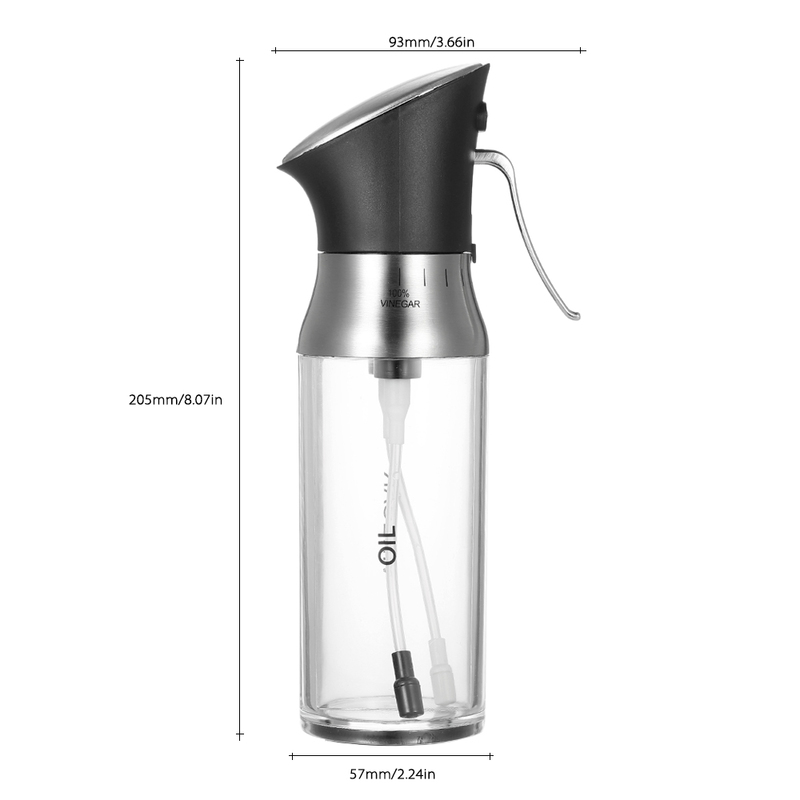 Nice looking, portable size for carrying around when picnic, camping, outdoor BBQ, etc.